We took 3 cats to the 2018 Supreme show. Tom for Best of Breed only which he won. Martin won his second Imperial along with Best of Breed and was in the final shortlist of 4 for Best of Variety. 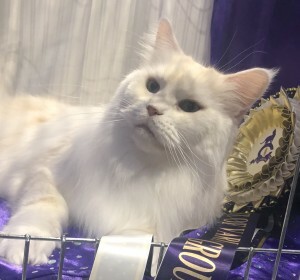 The star of the day was Casper, he won Best of Breed out of 3, which put him through to Best of Variety, 16 amazing cats, he was shortlisted to the last 4, I was delighted with that, then the last 3, then 2 and to my amazement he was announced the winner. This put him through to Best in Show across the main stage and gave him his first Imperial certificate. 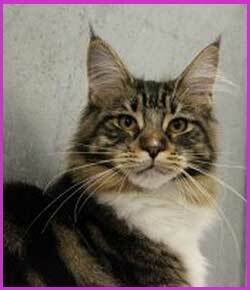 He was in competition with the 5 winners from the other sections, all highly titled cat of at least Olympian status. Casper was awarded reserve Supreme neuter only being beaten by the eventual Supreme exhibit. All this after only 4 months back on the show bench after 3 years away and a very serious illness.